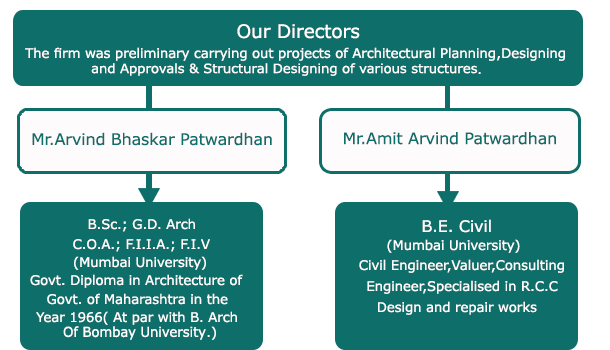 PCPL is focussed on projects of Architectural Planning, Designing, and Approvals & Structural Designing of various structures. Our team's expertise are Design of Steel Structure for Building Repairs, Factories, and Steel Culverts & Bridges. We are an ISO 9001: 2008 certified company in Architectural Planning, Structural Design, Quantity Surveying & Valuation. The Company is also one of the leading company in Feasibility Analysis and Project Management for mass housings, malls, commercial infrastructures and others in India. Be a leading global solution provider, With outstanding people working together with our valued client, delivering cost-effective world-class service. Be a sharing and caring organization, Practicing the highest standards of values, Unlocking the total potential of the human sprit. Provide best services and solutions to our clients worldwide.